Up the rolling hillside, as Haleakala begins its slow ascent mauka of the Pi’ilani Highway above Wailea, there is a sprawling neighborhood of eclectic diversity in home styles spread out over 160 acres known as Maui Meadows. The large lots are typically around a half acre, with some being a little larger. This is an area of spacious lots and laid-back style, sometimes referred to as “Upcountry Kihei” for its relaxed way of life. 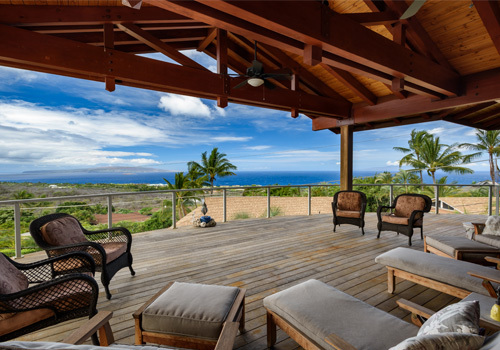 There is even a small, gated enclave to the north of Maui Meadows known as Kaimanu Estates, where gorgeous homes are situated on two-acre lots in this exclusive section. To the south of Maui Meadows, there will be a future development known as Honua’ula, as one of the most dynamic parts of the island continues to grow.